While India’s economy has been growing at an exponential rate, the country still has the highest number of stunted children in the world. The National Family Health Survey 3, published in 2005-06, had indicated an alarming rate of 48% stunted children in the country. However, as per the latest survey by National Family Health Survey 4 (NFHS-4), this rate has dropped to 38.4%. In India, malnutrition and stunting have been a longstanding problem, but it has been decreased in children consistently over past few years, shows the figures in the reports. A significant change in numbers could be witnessed in the state of Chattisgarh. The stunting of children under five in Chattisgarh ranked fourth among the five worst states, with respect to nutrition and stunting in the country, a decade ago. The statistics for the eastern state have changed for the better, in the NFHS-4 report. Maharashtra being the centre of the CSR expenditure by companies, there are numerous states like Chattisgarh where no projects are being implemented. Stunting among children results in prevention of proper growth due to lack of nutrition and basic requirements of the body. This is irreversible after age 2, and therefore, it is imperative that proper nutrition reaches the kids, before stunting becomes a permanent setback for them. 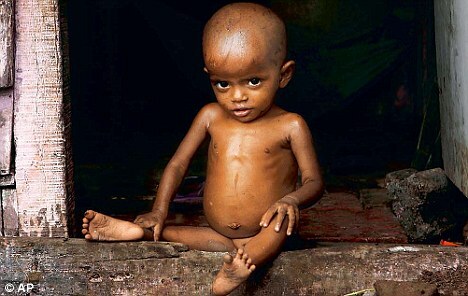 Child stunting due to malnutrition is greater in India than in poorer regions in sub-Saharan Africa. Moreover, in a recent report published by NGOBOX titled India CSR Outlook Report 2016-17, it is stated that CSR funds and projects are focussed in particular states only. Community engagement platforms will play a major role in raising more awareness regarding importance of sanitation, hygiene, malnutrition, and childhood stunting, among others. According to Mint, in a new approach to tracking malnutrition among Indian children, the ministries of women and child development and health and family welfare, along with other departments, plan to focus on high malnutrition areas and put in place a digital surveillance system. The plan will be executed under the National Nutrition Strategy proposed by government think tank NITI Aayog. Both the government and the private sector are keeping the sentiments high in making necessary investments to generate adequate funds in order to address problems of health, sanitation and education. However, there is still a lot of scope of development to break the intergenerational cycle of malnutrition in the country.